The four men army of express bowlers from Australia diminished Indian batting line up again on the first day of the third Test at Perth while restricting them to 161 runs before their first innings was folded back . If that was not enough for the visitors, the home side toyed up with their bowling attack and David Warner butchered them by smashing fastest Test century as an opener. The Kangaroos were just 12 runs behind the first innings target with all their wickets in hand, David Warner and Ed Cowan were unbeaten on 104 and 40 runs respectively at stumps on the first day. The third Test of the four match series is being played at Western Australia Cricket Association Ground, Perth from January 13, 2012. 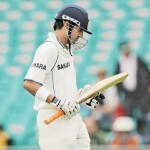 Earlier, the Australian Captain Michael Clarke won the toss and put India in to bat. He kept in his mind the prediction of the curator Cam Sutherland who had already warned that the pitch will be 20% faster than the one when India played here last in 2008 and won the match by 72 runs. 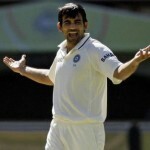 The visitors received first punch of the day when their star opener Virender Sehwag was caught in the second slip by Ricky Ponting off Ben Hilfenhaus without opening his account. Rahul Dravid and Gautam Ghambhir tried to integrate the innings by taking it to 32 runs. 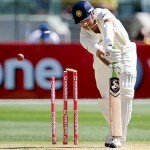 Dravid was bowled by Peter Siddle on 9 runs which added more worries to the Indian camp. All eyes were set on Sachin Tendulkar who was searching for his 100th hundred in international cricket ever since March, 2011. He was unable to deliver the things for the visitors as Ryan Harris sent him back to the pavilion on 15 runs as the batsman was declared leg before wicket. The third wicket fell at 59 runs and four runs later Ghambhir became the second victim of Hilfenhaus at his individual score of 31 runs. VVS Laxman and Virat Kohli showed some resistance and produced 68 runs partnership for the fifth wicket before the later was gone after scoring 44 runs. The Aussies bowlers had their tails up by then and they ripped through the Indian batting besides the individual efforts of Laxman who scored 31 runs. The whole team was bowled out at 161 runs in mere 60.2 overs as the thunder bolts of the home side were too good for them. 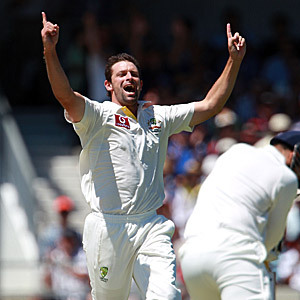 Hilfenhaus was the star performer with four wickets , siddle held three, Mitchell Starc added two to his credit while Harris took the most important wicket of Tendulkar. The Australian opened the innings in style and warner started the onslaught by sending the ball reeling and flying over the rope at his will. He was being well supported by Cowan who kept on securing one end and in the process dispatched Zaheer Khan for three fours in the seventh over. India went in to the match with four seamers as well but none of them was impressive as the batsmen hammered all of them at their will. Warner looked like contesting in the Twenty20 game as the home side conquered 100 runs in just 14 overs. 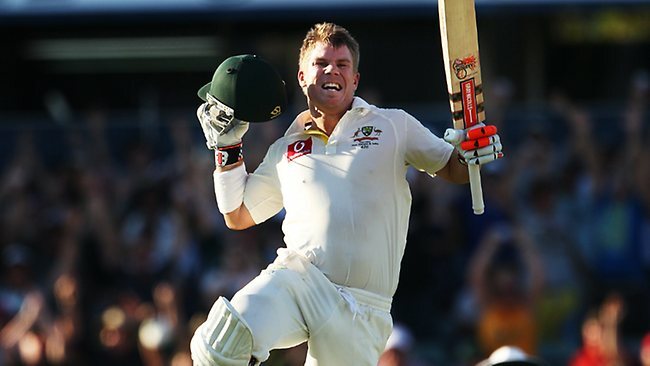 David Warner enjoyed with his bullet like shots and thrashed fastest ever century by an opener in Test cricket in just 69 balls by dispatching a huge six over long-on. His powerful century comprised three towering sixes and 13 well timed fours, added four more runs to his credit by reaching unbeaten 104 and Ed Cowan was playing on 40 runs at the end of the first day’s play. India express battery was unable to make any dent in the Australian batting on the same pitch where the visitors batsmen once again surrendered against the lethal speedy attack of the home side. The Kangaroos are on the driving seat from the day one of the third Test and the Indians are forwarding towards another misery. Come back home guys and play gilli danda. Cricket on foreign soil is not for you.